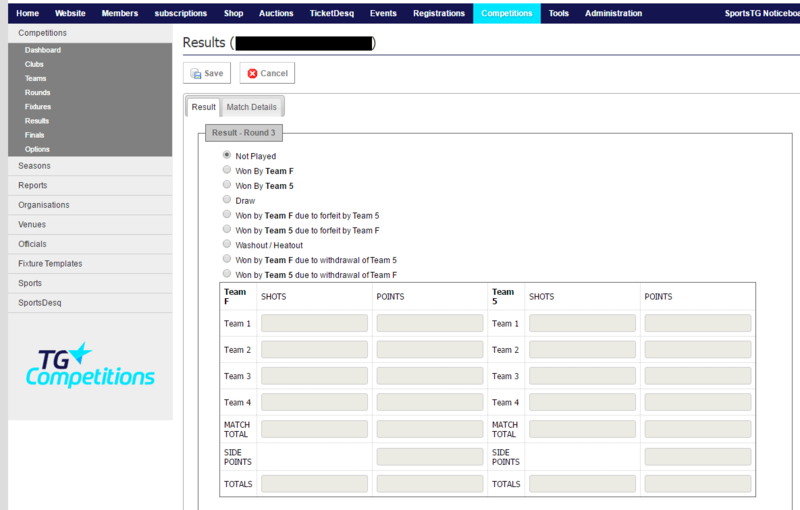 Sports allows results to be entered by the Competition Administrator through the Management Console, or by the Team Administrator or Official through the front-end portal. Adding results through the Management Console allows competition administrators to have full visibility of results, and ensure they are correct before they are entered into the system. 3. Click EDIT next to the relevant match.